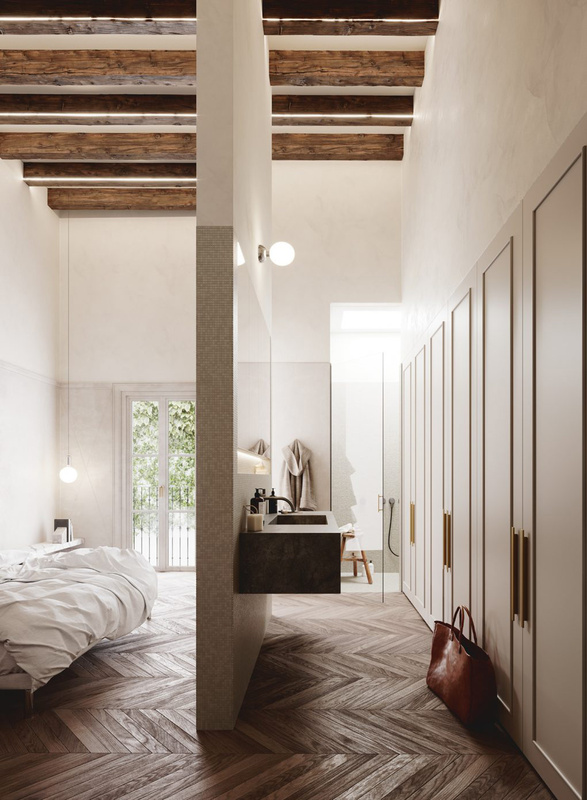 The Stockholm-based interior architects at Whyte Lilja worked hand in hand with AVW Arquitectura to create Impremta Garden, a living complex of 12 luxurious apartments in a beautifully renovated historic building in Palma’s Old Town, Mallorca. 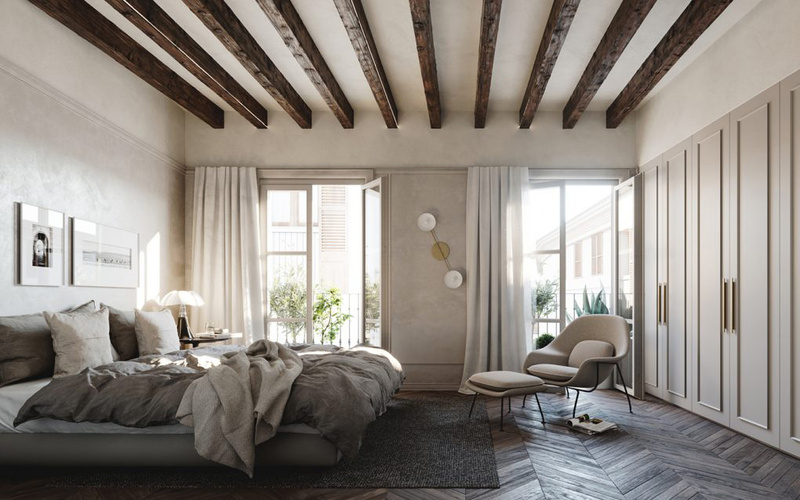 Each apartment is a true urban oasis, conceived with a focus on blending historic and modern design for character. 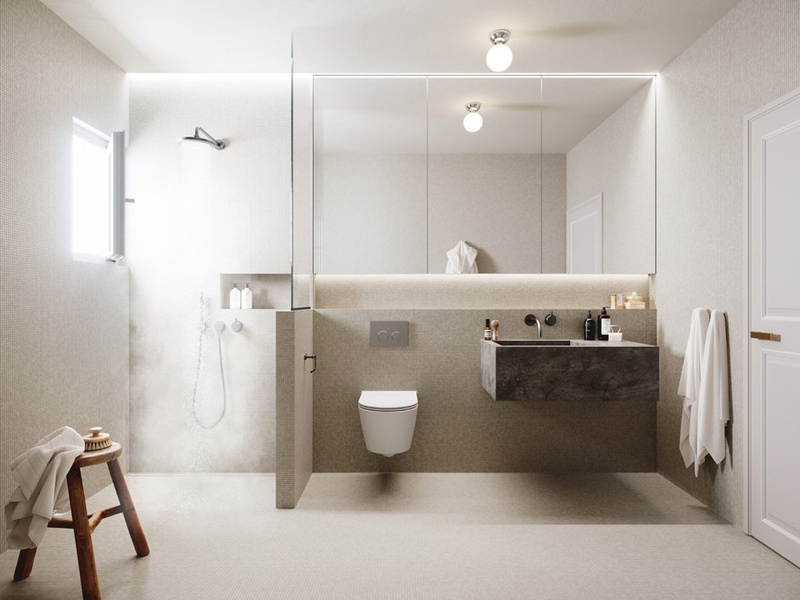 The interior is kept beautifully simple and timeless, with Scandinavian functionalism as a rule of thumb and carefully selected details and materials. 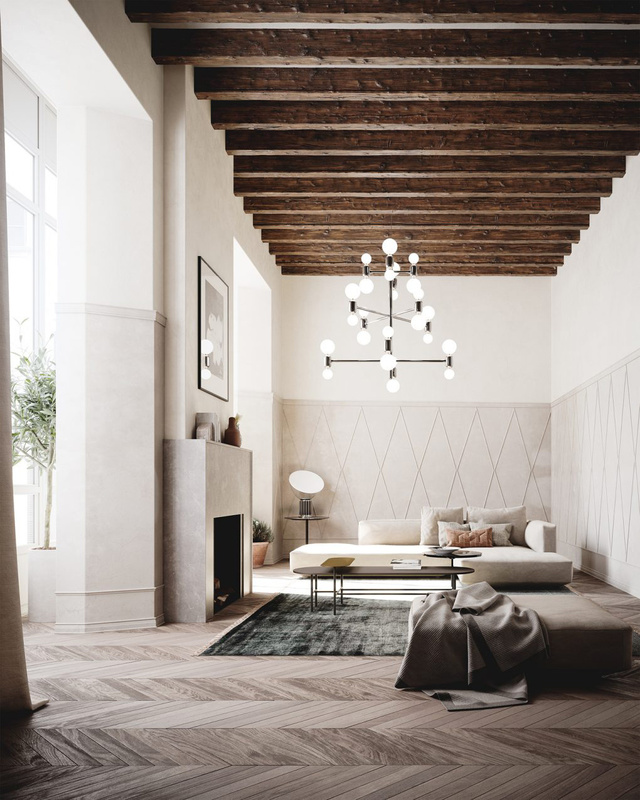 Fantastic chevron patterned oak floors and the calm colors palette adds to the warm, sophisticated atmosphere. 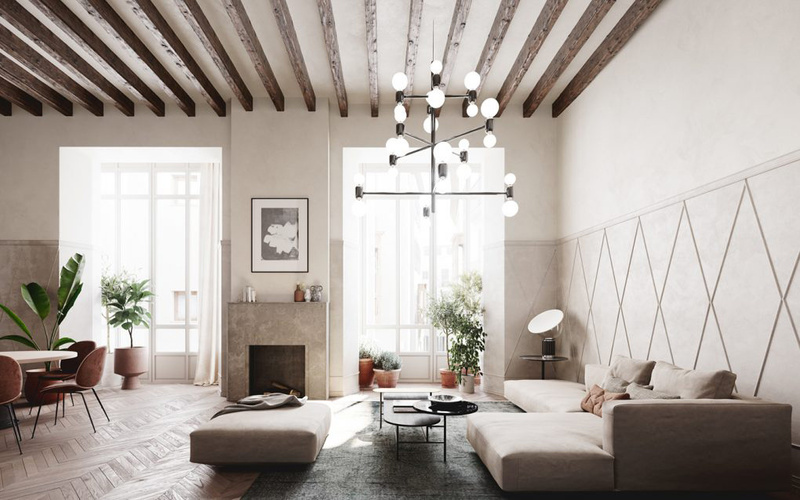 Original elements were preserved and/or enhanced, like the large windows, generous ceiling heights and restored beams. 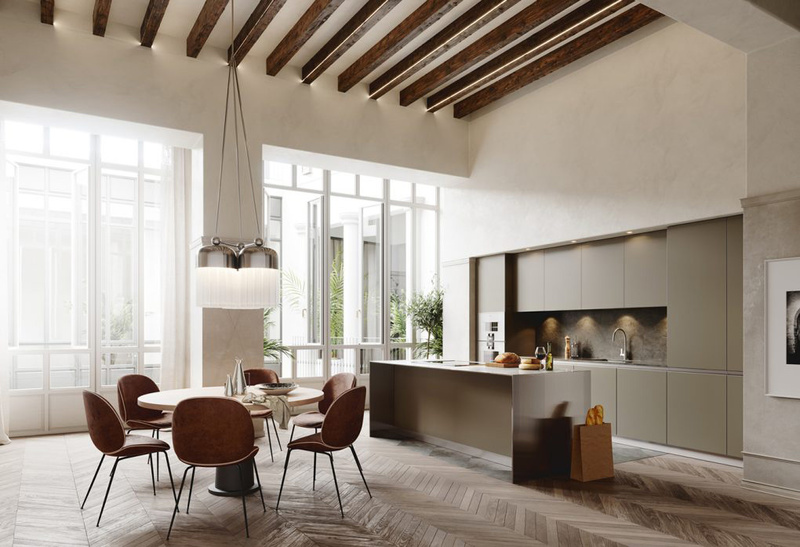 A gorgeous minimalist kitchen brings a modern expression. The place is tastefully decorated; a perfect style for the rich interior. Impremta Garden also offers an amazing open patio with a pool for its residents (see last picture below) – I mean, who wouldn’t want to lounge there? Stunning.